How 1 Hawaii Resident Is Documenting The Kilauea Volcano Eruption Lava continues to erupt from fissures in the ground, threatening Hawaii residents. But some, including Scott Wiggers, have decided to stay and document the eruption. Lava flows at a lava fissure in the aftermath of eruptions from the Kilauea volcano on Hawaii's Big Island. The U.S. Geological Survey said a recent lowering of the lava lake at the volcano's Halemaumau crater has raised the potential for explosive eruptions at the volcano. In Hawaii, worry continues to grow after two new fissures opened up on Hawaii's Big Island Saturday. 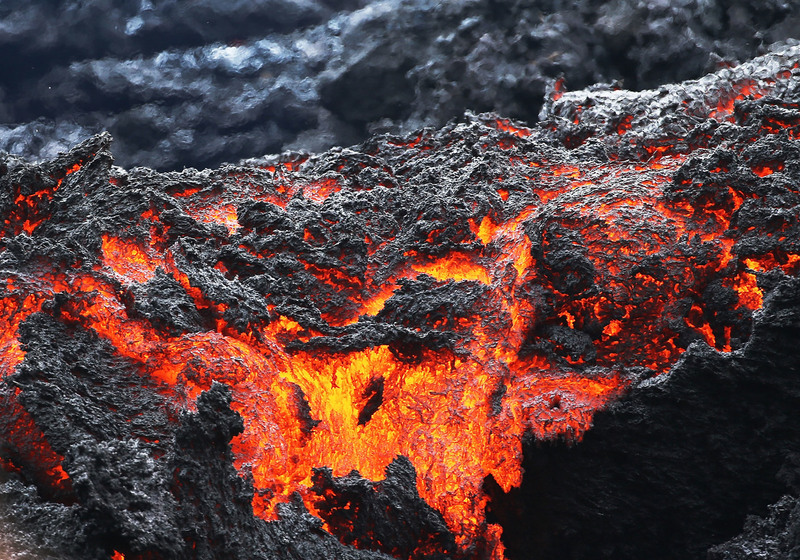 Scientists are warning about a possible volcanic eruption. The events are spewing toxic gases and steam. Lava has swallowed up roads and homes and thousands living near Kilauea volcano have been evacuated. But some residents, including Scott Wiggers, have remained behind. 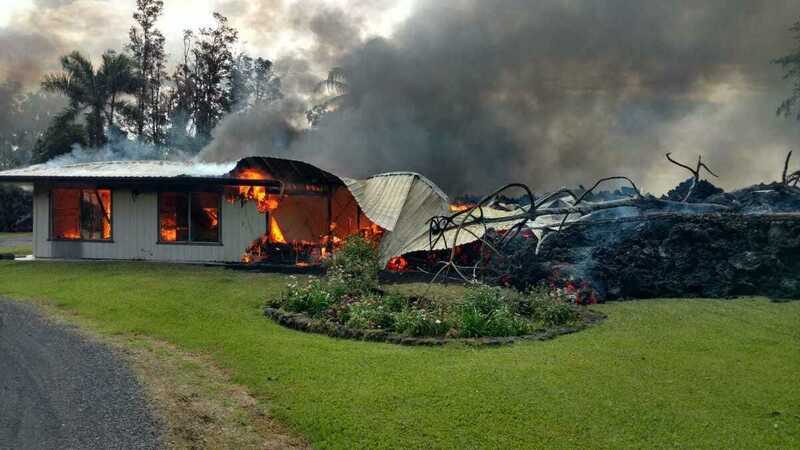 He spoke with NPR's Weekend Edition about what he's experiencing at his home on Leilani Estates, where more than two dozen homes have been destroyed by lava. Wiggers lives on the far west side of the subdivision and often goes to the fissures within the neighborhood to document what's happening around him. "I tried to make it to fissure 16 yesterday, but was unable to get through because of all the sulfuric acid," Wiggers says. "Over the past 24 hours, the earthquakes have started rumbling again." Wiggers says that when he goes to check on the fissures he can see the sulfur deposits building up, where the lava rocks are starting to turn yellow, adding that "it's pretty amazing stuff." In choosing not to evacuate his neighborhood, Scott Wiggers has stayed behind to document the fissures and lava flow happening on Hawaii's Big Island. But it's also hard not to notice when something is happening. Wiggers says the first fissure he experienced was on May 5. "I woke up about 1 a.m. I heard a roar — and this is two miles away — a roar, like a jet engine," Wiggers says. "I go out and I look out the window and I see the sky glowing red." Wiggers says that right before his eyes, the fissure opened up. "[There was] a cinder cone being created, lava spewing in the air 100 feet," he says. "I was standing about 50 yards from that and I could feel the warmth. It was probably 90 degrees Fahrenheit." After gathering some of his friends, Wiggers went down, closer to the lava to inspect the situation. "Just the sound, the experience, the ground was shaking," Wiggers says, adding that it's hard to describe the full sensation. Wiggers says he hasn't evacuated because he believes house is not in danger and that the air quality around him is OK.
During his documentation, Wiggers has posted many videos to YouTube explaining what's happening around him with footage of active fissures and cinder cones from previous eruptions. Though others are worried, Wiggers believes he is safe where he is and has no intention of evacuating. NPR's Denise Guerra and Martha Ann Overland produced and edited this story for broadcast. Wynne Davis adapted it for the Web.